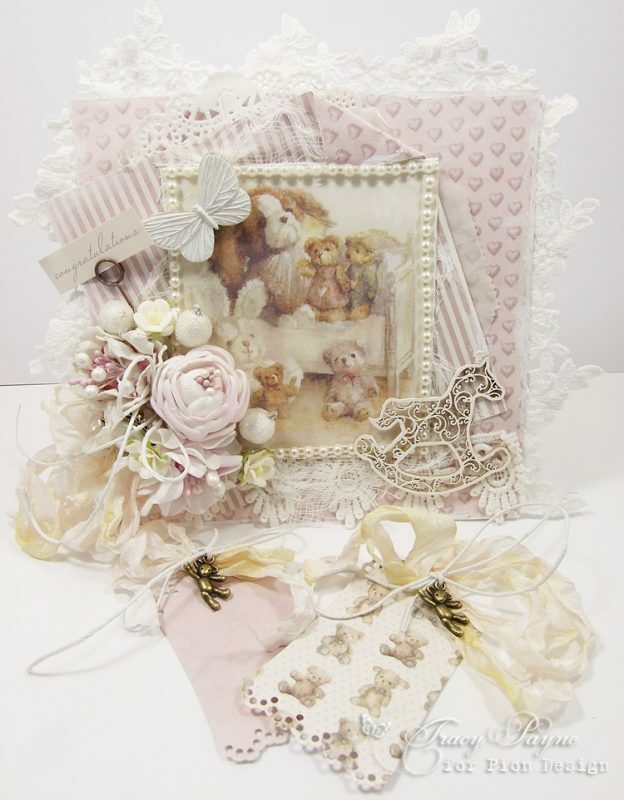 Tracy here once again playing with these oh so adorable papers, Theodore and Bella. 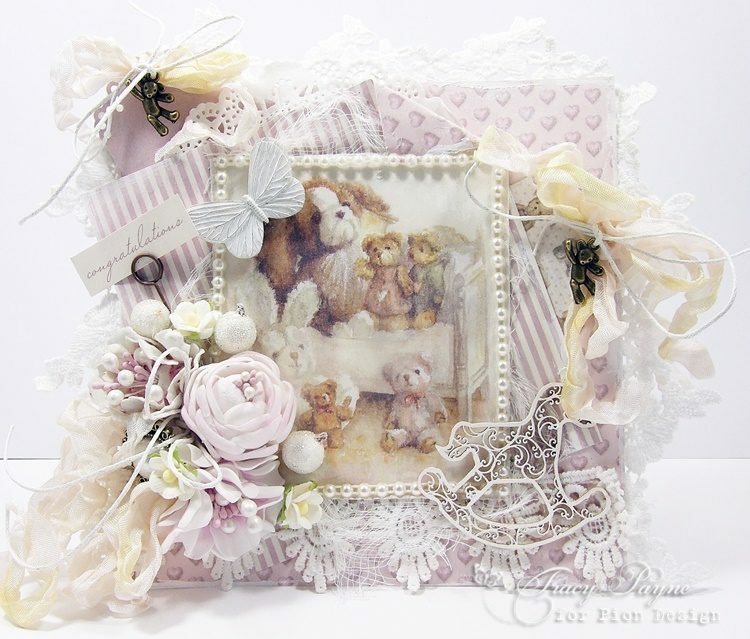 I used the image from the Miss Ballerina and Friends and framed using 4 mm ivory pearl string. Isn’t that image just so cute. The tags are removable as shown in the below picture and die cut using the little Bear Hugs sheet.